If we told you that your mouth is the site of a constant battle between teeth and bacteria, would you believe us? Alright, maybe it’s not that dramatic, but the fact that Shelby teeth are always at risk of developing dental caries is no exaggeration. 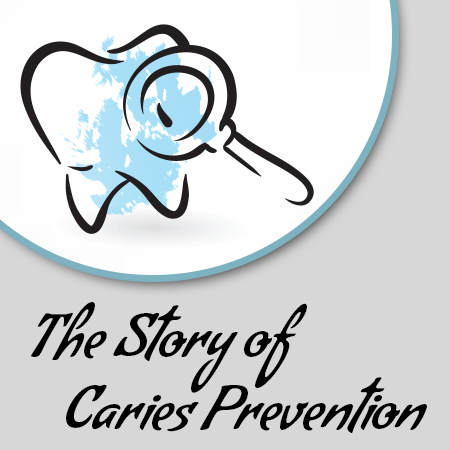 In case you’ve never heard about caries, Dr. Marissa Miller is going to take this opportunity to shed some light on what it is, how to stop it, and what Discovery Dental can do to help. What do dental caries and tooth decay have in common? A lot! Actually, they are the exact same thing. When bacteria interact with carbohydrates as they are broken down in the mouth, they ferment and produce lactic acid, which eats away at the structures of the teeth. Considered the most prevalent chronic disease among adults and children, this condition is called dental caries, or tooth decay. Without proper care and regular dental appointments, the acid from bacteria will eat away the surface layer of the tooth, creating a hole, or cavity. In other words, dental caries (tooth decay) is the cause of cavities. Tooth decay is a bacterial infection that results from sugars breaking down in the mouth. In order for a caries formation to take place, there must be bacteria and sugar present on a tooth surface. For most Shelby residents with a normal diet, the components of tooth decay are already in place. However, Dr. Miller reminds us that it takes time, sometimes even several years, for the acids to eat away at the tooth resulting in a cavity. The simplest ways to limit your risk of getting a cavity are to eat less sugar, brush and floss regularly, and visit Discovery Dental for your twice yearly cleanings. Every time the process of caries formation begins, saliva works to stop it. In addition to adding minerals back to teeth (remineralization), saliva also kills harmful bacteria and neutralizes the acidic effects of bacteria. Once you’ve eaten, this neutralization process takes about half an hour. Any activity that includes trading saliva, such as kissing or sharing food and drinks, can send cavity-causing bacteria into a friend or loved-one’s mouth. Shelby parents with young children should be especially aware of this because kids are not as practiced at taking care of their teeth, and may be more susceptible to cavity formation. While having a cavity filled will repair a tooth, it does not stop tooth decay. Get rid of cavities for good! Eating a healthy diet low in sugar and making sure to brush and floss twice a day with fluoride toothpaste are your best lines of defense against cavities. However, it is still possible for dental caries to cause cavities, especially if you have dry mouth, heartburn, or love to sip sugary drinks. Don’t be worried! That’s where Dr. Marissa Miller comes in. Each time you visit Discovery Dental for a cleaning, our expertly trained hygienists will inspect every nook and cranny of your mouth for tooth decay at work, and stop cavities in their tracks. Call now to schedule an appointment and keep your smile happy and healthy!